Lock in a great price for Sun N Moon Guest House – rated 8.3 by recent guests! I stayed here for 4 nights over Christmas. It was overpriced because of the time of year but the room was lovely, with a sitting area and balcony. It was also quiet because it was at the back of the place. Everything. The room was great, it had a bed, fridge, TV, bathroom and balcony. It was the prefect size too. The staff were great and always smiling and helpful. Location spot on. Safe too, and great value for money. I will go back and I recommend this place to anyone. Friendly staffs, room cleaned bed change daily and fresh towels daily. 100 meter walk to the beach, very large, clean, and comfortable rooms! Really spacious, clean, cool, high ceiling rooms. Real value for money. Would stay here again. 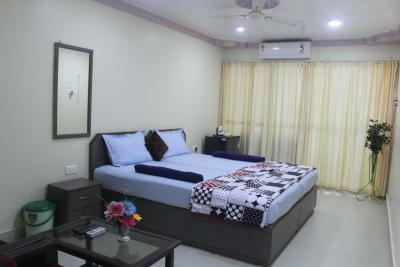 Very helpful staff, clean room and comfortable bed. 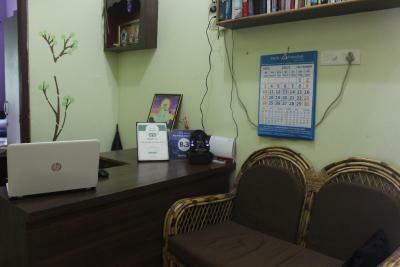 Room cleaned upon request. walking proximity to beach and eateries. The room helpers were kind. 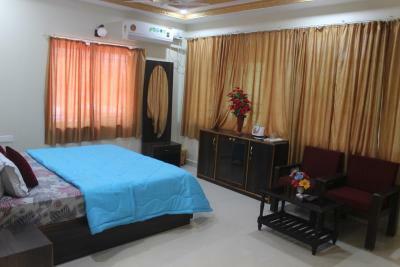 Comfortable bed, large spacious room and large balcony. Great location, close to the beach and restaurants on the main road. Very nice, spacious double room with hot water, a fan, TV, balcony, wifi etc. The staff were extremely helpful, it made my stay so much nicer. 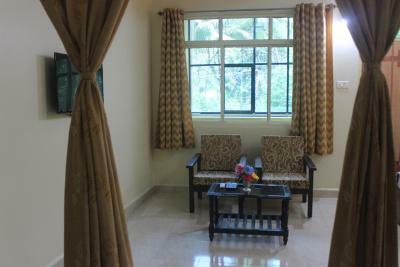 Close to beach and associated facilities (walking distance). Price was also very competitive. 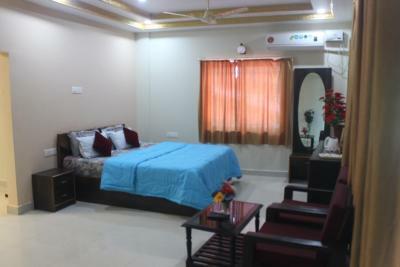 Sun N Moon Guest House This rating is a reflection of how the property compares to the industry standard when it comes to price, facilities and services available. It's based on a self-evaluation by the property. Use this rating to help choose your stay! 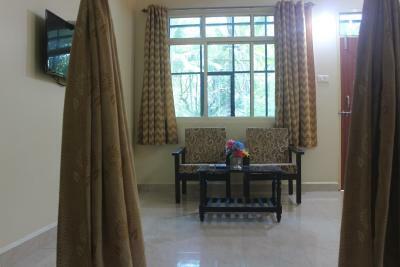 Sun N Moon Guest House is located in Palolem. 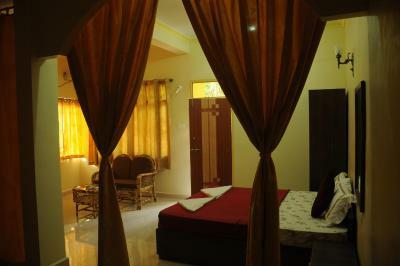 It is barely 650 feet from Palolem Beach and operates a 24-hour front desk. 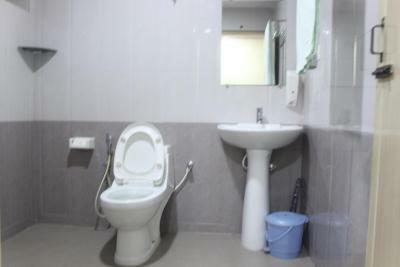 The property offers free parking and free Wi-Fi. 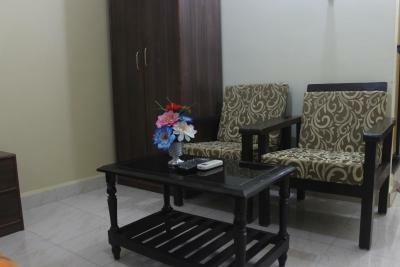 Rooms here will provide you with a flat-screen TV, a seating area and cable channels. Featuring a shower, private bathrooms also come with a bathrobe and free toiletries. Extras include a desk and a fan. 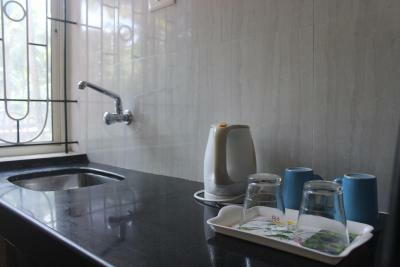 At Sun N Moon Guest House you will other facilities offered include an ironing service and a laundry. Guests can use the car rental facility to explore this beautiful city. The Agonda Beach is 4.3 mi and Cotigao Wildlife Sanctuary is 6.2 mi. The Cancona Bus Station and Cancona Railway Station are 1.9 mi. The Goa International Airport is 39 mi. The in-house restaurant serves a selection of Indian delights. Room service is available for limited hours. 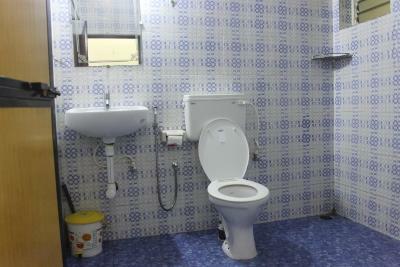 This is our guests' favorite part of Palolem, according to independent reviews. 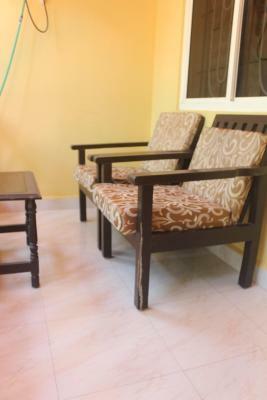 This property is also rated for the best value in Palolem! Guests are getting more for their money when compared to other properties in this city. 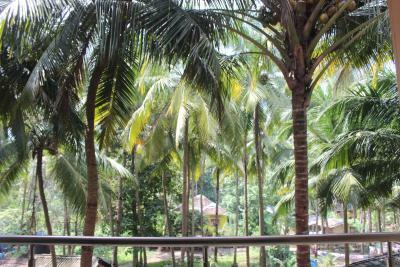 뀐 Located in the top-rated area in Palolem, this property has an excellent location score of 8.5! When would you like to stay at Sun N Moon Guest House? 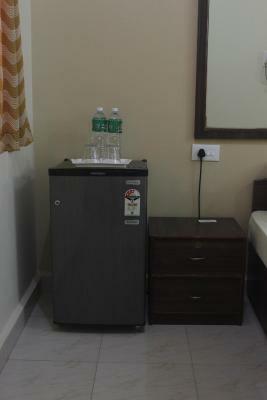 Air-conditioned rooms here will provide you with a flat-screen TV, a seating area and cable channels. Featuring a shower, private bathrooms also come with a bathrobe and free toiletries. Extras include a desk and a fan. 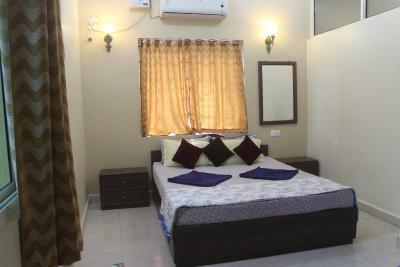 Large rooms here will provide you with a flat-screen cable TV, a seating area and refrigerator. Featuring a shower, private bathrooms also come with a bathrobe and free toiletries. It comes with a balcony and sofa. House Rules Sun N Moon Guest House takes special requests – add in the next step! One older child or adult is charged INR 500 per person per night when using existing beds. Sun N Moon Guest House accepts these cards and reserves the right to temporarily hold an amount prior to arrival. The room booked was described as a deluxe double, providing a private bathroom, with bathrobes and free toiletries. Although we did have our own bathroom, we did not have any hot water whatsoever during our two night stay, despite trying at different times of day to wash and shower and turning on what appeared to be an immersion heater wall switch. A small bar of soap was provided which i assume was the free toiletries mentioned, but no bath robes were provided as described in the room description. No lockable drawer, cupboard or safe was available in the room in which to place any personal valuables which we were left having to carry around with us as the property has no secure access door any anyone may walk in/ enter from the main road outside. The fridge was dirty on our arrival along with the window bottoms which did not look like they had been cleaned for many months. The bathroom also was not very clean and looked like it had been this way for some time, the brush in the bathroom which i am not sure was for cleaning the toilet or the bathroom was filthy and required binning! Just a minor thing, undoubtedly taken care of yesterday, just before we left: got three times electrocuted by touching the fridge. On our last day all guests were warned: all fridges in the rooms gave electrical shocks. Bed was worse. Curtains were drity. Spider webs seen. The wooden seaters are pathetic. No drinking water supply. You have to ask them daily in the morning. The supervisor, Sandesh is a good person to deal with. Location is okay; No car parking. Rooms are awkardly close. And you could hear other room washroom flush, other road noises too. The surroundings are a joke. I would never recommend or visit this hotel again! Always double check with TripAdvisor.com too! It was quite noisy on the main road especially at night and early in the morning. It would have been great if hand soap could have been provided. There was some dust under the bed and the other guests could be a bit noisy coming back in the evening, but on the whole everything was good. 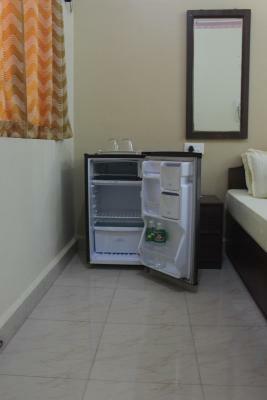 Large room with A/C, Fridge and balcony.